Think of it as a two-fer, and then some, at the Wisconsin Union Theater this Friday night, March 1. The main event is the Madison debut of a world-class string quartet from Spain. The other event is the announcement of the schedule for the Concert Series’ 2019-2020 season — the series’ 100th season. 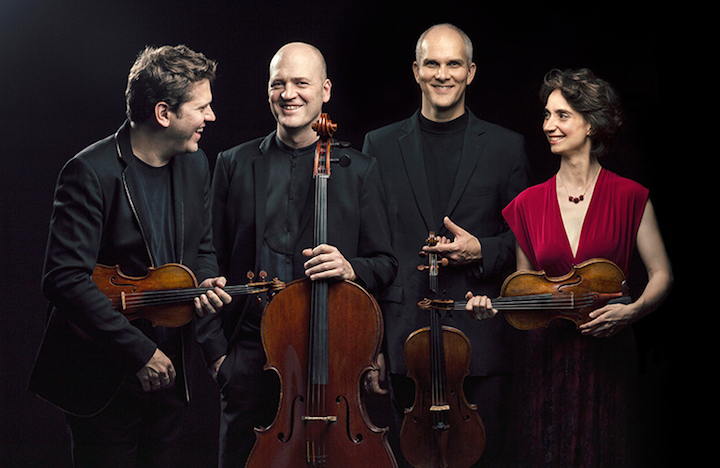 The first event is the concert by Cuarteto Casals (below) at 7:30 p.m. in Shannon Hall. Prices for the event are: the general public, $25-40; for Union members, $25-36; for UW faculty and staff members, $25-38; for young people, $20; and for UW-Madison students, $10. Tickets can be bought online, by phone at 608-265-ARTS (2787) or in person. 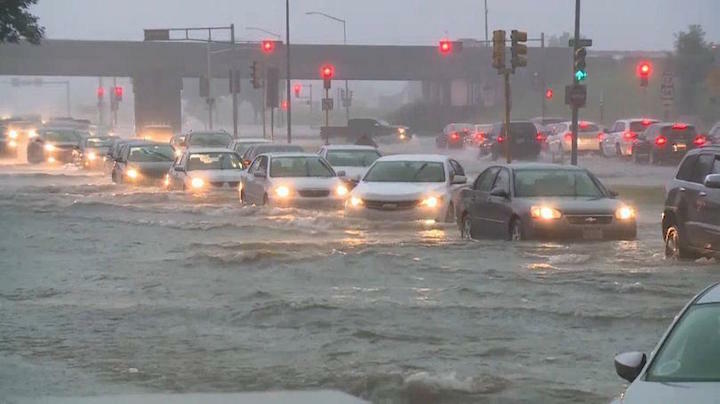 See locations and hours here. Cuarteto Casals was founded in 1997 at the Escuela Reina Sofia in Madrid. 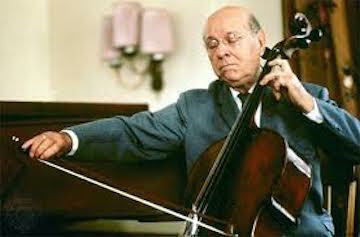 They are named after great 20th-century Catalan cellist Pau (Pablo) Casals (below). Members of the quartet are Vera Martinez Mehner and Abel Tomas, violins; Jonathan Brown, viola; and Arnau Tomas, cello. The group achieved international recognition after winning First Prizes at the London and Brahms-Hamburg competitions. After receiving the prestigious Burletti-Buitoni Trust award designed to assist young musicians, the quartet acquired a matching set of Baroque and Classical period bows, used to distinguish between musical styles. 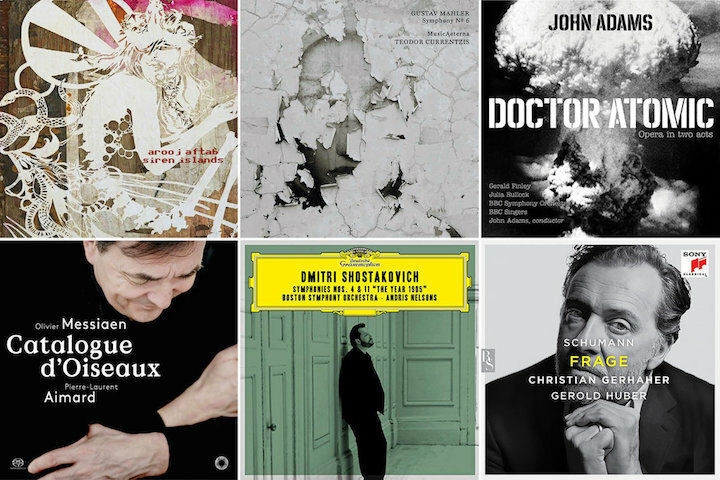 The year 2017 marked the 20th anniversary of the quartet, and also the start of a commemorative project: a six-concert series of the complete Beethoven quartets, accompanied by six commissioned works from great composers since the 17th century. The quartet was selected as ambassadors of Catalan culture by the Generalitat of Catalunya, and accompanies the King of Spain on diplomatic visits. It is the quartet-in-residence at the Spanish Royal Palace through 2020 and the quartet-in-residence at the Escola Superior de Musica de Catalunya in Barcelona. 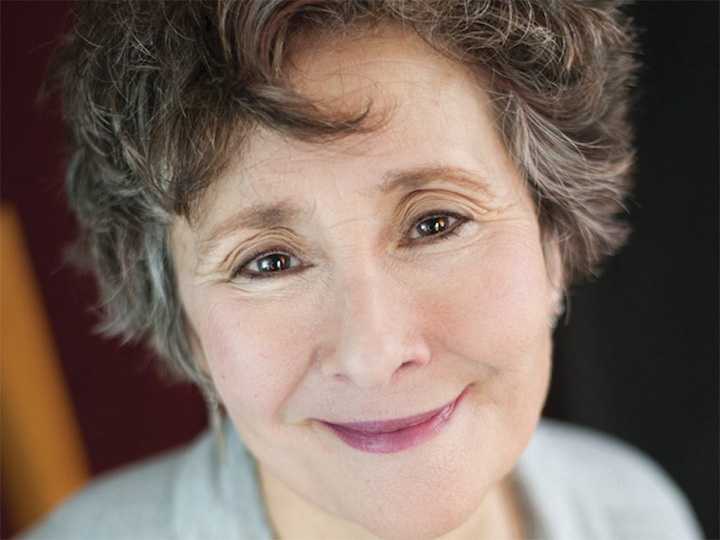 Carol Carlson (below) will offer a free pre-concert lecture at 6 p.m. Carol holds both Doctor of Musical Arts and Master of Music degrees in violin performance from the UW-Madison. 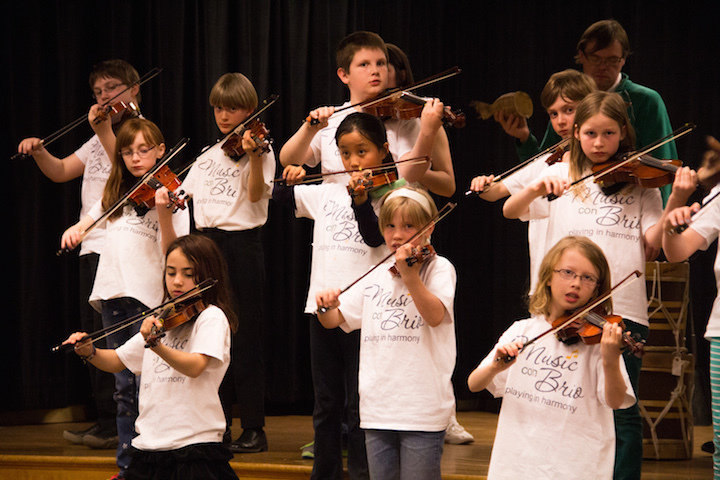 Carlson dedicates herself to music education as co-founder, co-director and teacher of Music con Brio, a non-profit organization that provides affordable violin lessons and equipment for students at Emerson Elementary School in Madison. Music con Brio (below, in a photo by Scott Maurer) will perform on the stage of Shannon Hall from 7 to 7:20 p.m. This program was supported in part by a grant from the Wisconsin Arts Board with funds from the State of Wisconsin and the National Endowment for the Arts. The media sponsor is WORT 89.9 FM. The autumn equinox will occur at 8:54 p.m. Central Daylight Time. As the days get markedly shorter and the night longer, one’s mood often changes as do one’s listening preferences. Many composers have written pieces about autumn, and you are sure to hear many of them on Wisconsin Public Radio or other media outlets. But The Ear has his favorites. Not for nothing is the late music of Johannes Brahms described as autumnal, both because it happens late in the composer’s life and because of its bittersweet sounds, its poignant harmonies and its melancholy melodies. For The Ear, you will find it in most of late Brahms, especially in the slow movements. He loves the string music – the violin, the cello and especially the viola sonatas – as well as the clarinet sonatas and piano intermezzi. 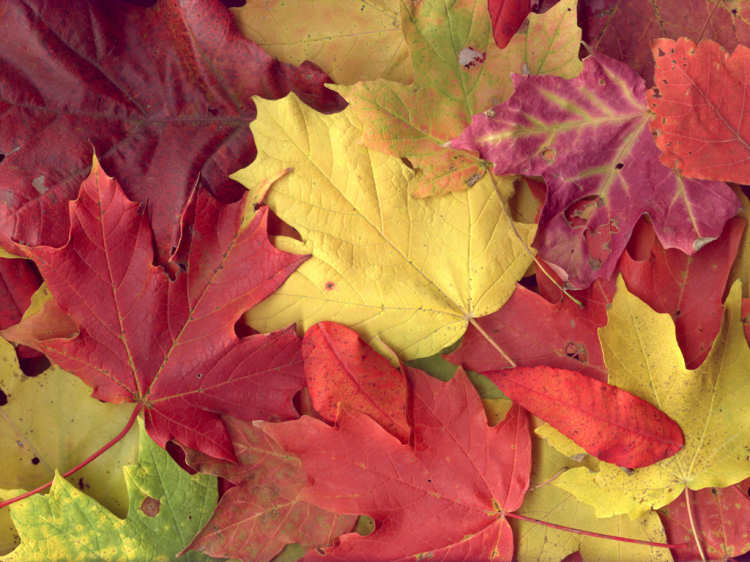 Is there a special composer who evokes autumn for you? What instruments most speak to you of fall? Are there special works you like to listen to in autumn? Leave your thoughts in the COMMENT section, along with a link to a YouTube performance if possible. 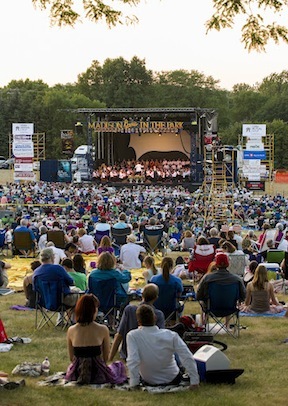 Madison Opera’s annual Opera in the Park (below) celebrates its 17th year on this coming Saturday night, July 21, at 8 p.m. in Garner Park on Madison’s far west side, near West Towne Mall. 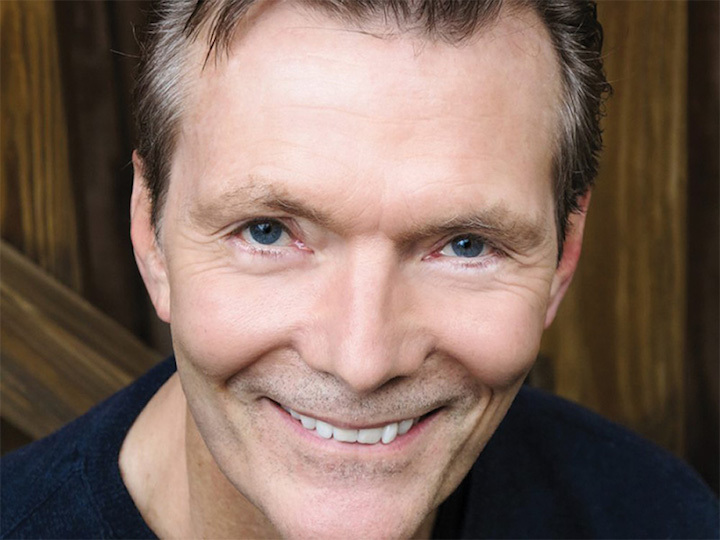 The annual FREE and family-friendly concert of opera and Broadway favorites closes the company’s 2017-18 season and provides a preview of the 2018-19 season. 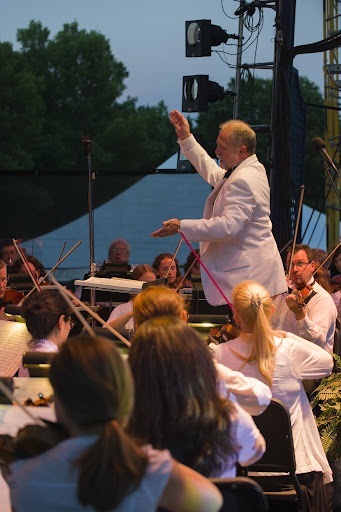 A Madison summer tradition that often attracts over 15,000 people (below, in a photo by James Gill), Opera in the Park is an evening of music under the stars that features selections from opera and Broadway. 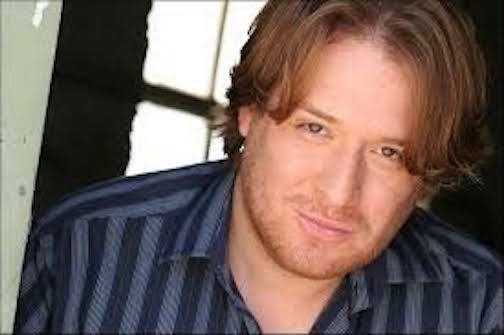 This year’s Opera in the Park features four soloists: soprano Elizabeth Caballero; soprano Brenda Rae; tenor John Lindsey; and baritone Levi Hernandez. Caballero (below top) and Hernandez (below bottom) recently starred in Madison Opera’s acclaimed production of “Florencia en el Amazons” last spring. 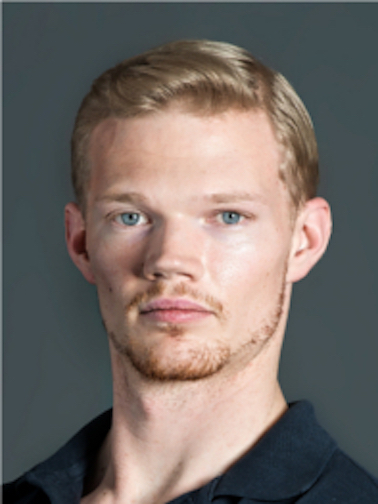 Lindsey (below) is making his debut, and will return to the company as the Prince in Antonin Dvorak’s Rusalka in April, 2018. 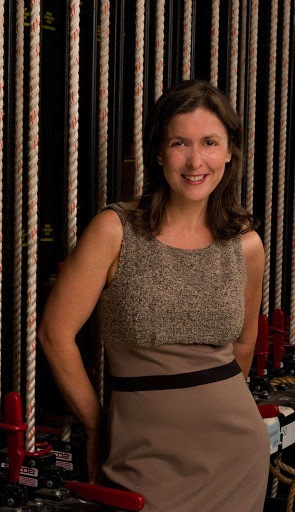 Rae (below) is also making her Madison Opera debut. 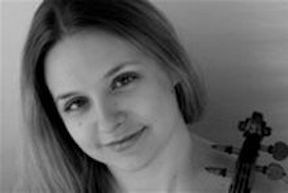 She did her undergraduate work at the UW-Madison’s Mead Witter School of Music before going on to the Juilliard School and an international career. She is singing Cunegonde in Candide at Santa Fe Opera this summer, and is performing at Opera in the Park in between performances there. 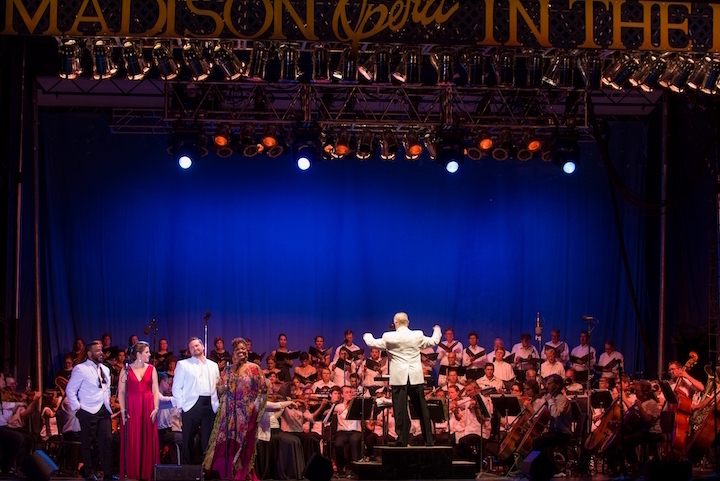 The four soloists are joined by the Madison Opera Chorus and Madison Symphony Orchestra (below top, in a photo by James Gill), conducted by Gary Thor Wedow (below bottom), who has guest conducted Opera in the Park before. 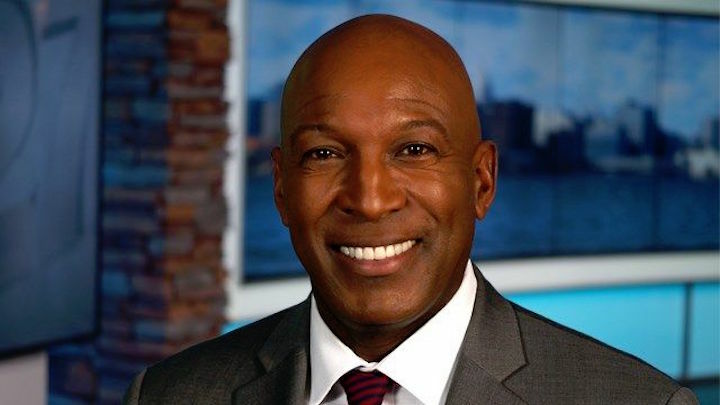 The evening is hosted by Madison Opera’s General Director Kathryn Smith and WKOW-TV’s 27 News co-anchor George Smith (below). 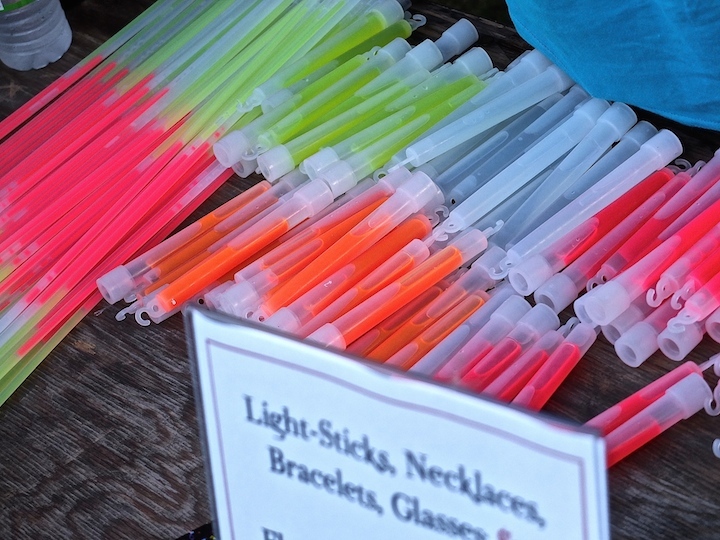 As always, this evening will include one number conducted by the audience with light sticks (below). 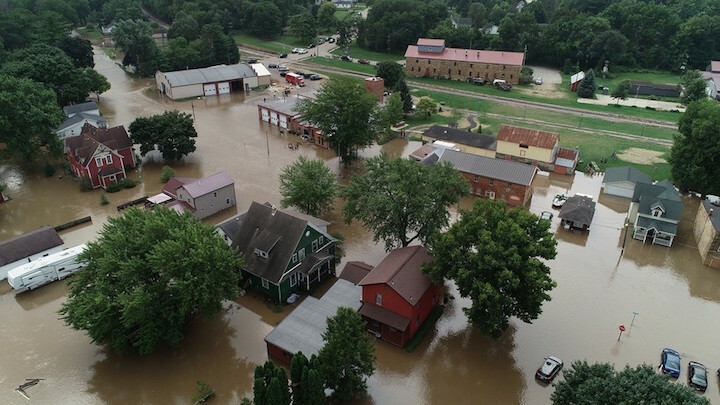 Garner Park is located at 333 South Rosa Road, at an intersection with Mineral Point Road. Parking is available in the CUNA Mutual Group and University Research Park lots across the street. Attendees are encouraged to bring picnics, blankets and chairs. Alcohol is permitted but not sold in the park. On the day of the concert, Garner Park will open at 7 a.m. Audience members may not leave items in the park prior to this time. 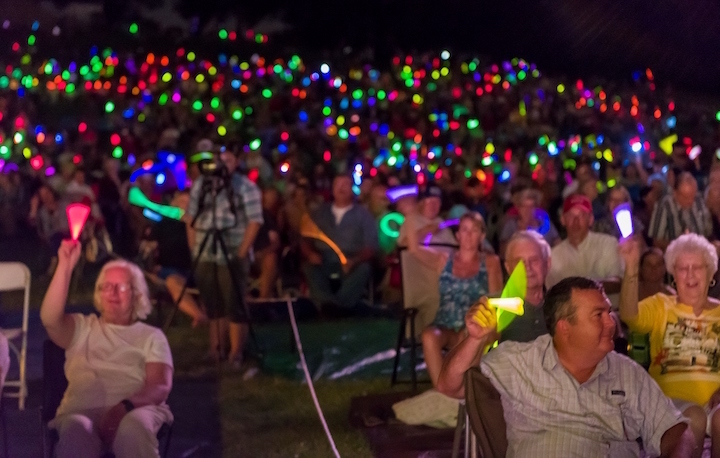 The rain date for Opera in the Park is Sunday, July 22, at 8 p.m. While Opera in the Park is free to attend, it would not be possible without the generous support of many foundations, corporations and individuals. 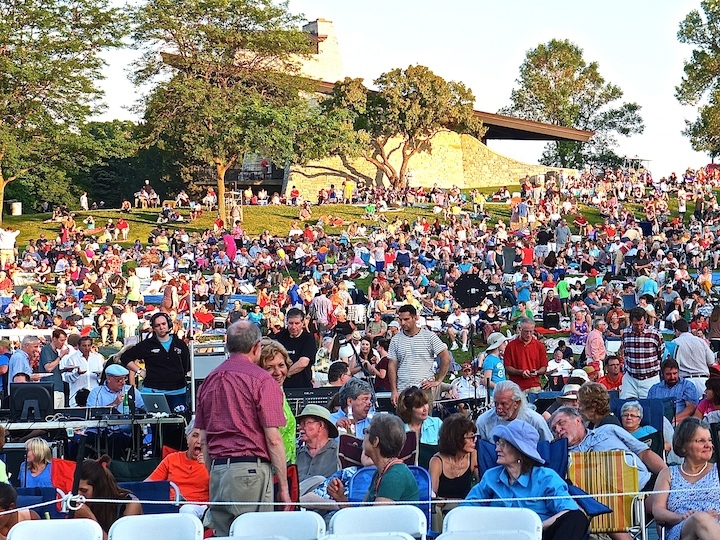 Sponsors of Opera in the Park 2018 are: the BerbeeWalsh Foundation, the John and Carolyn Peterson Charitable Foundation, Full Compass Systems, the Raymond B. Preston Family Foundation, University Research Park, Colony Brands, the Evjue Foundation – the charitable arm of The Capital Times, Hooper Foundation, MG&E Foundation, Johnson Bank, National Guardian Life, Wisconsin Bank and Trust, the Wisconsin Arts Board, Dane Arts and the Madison Arts Commission. Madison Magazine, Wisconsin Public Radio, Magic 98, and La Movida are media sponsors for this community event. RELATED EVENT: Prelude Dinner at Opera in the Park 2018 is on Saturday, July 21, at 6 p.m. in the park under a tent. 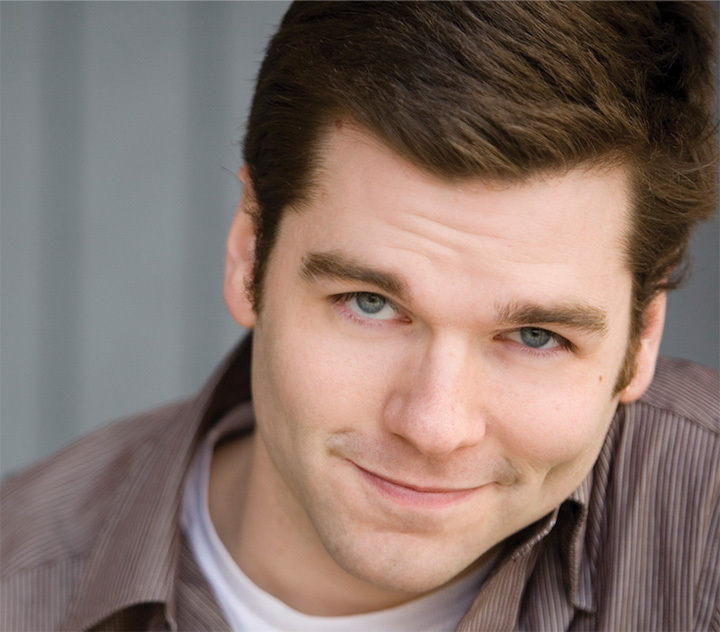 Madison Opera is a non-profit professional opera company based in Madison, Wisconsin. 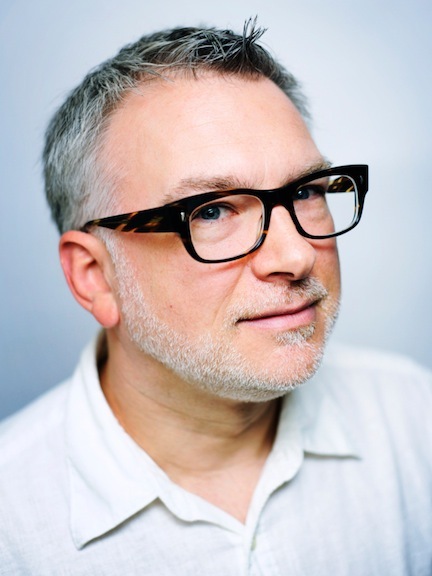 Founded in 1961, the company grew from a local workshop presenting community singers in English-language productions to a nationally recognized organization producing diverse repertoire featuring leading American opera singers and emerging talent. 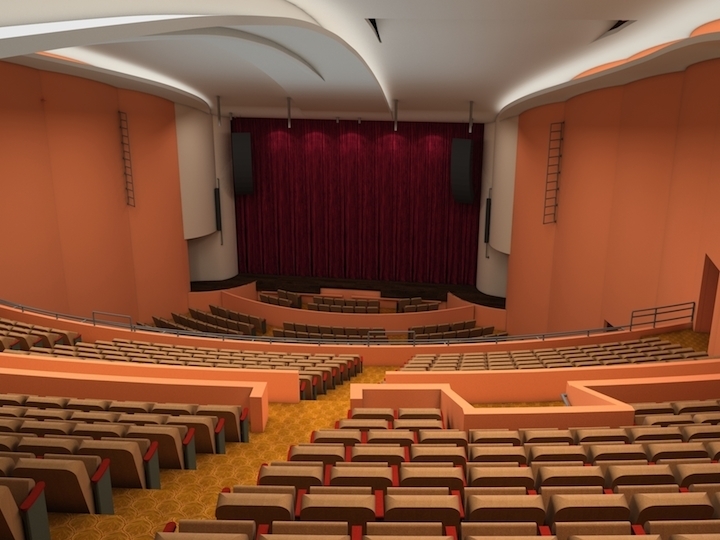 A resident organization of the Overture Center for the Arts, Madison Opera presents three annual productions in addition to the free summer concert Opera in the Park and a host of educational programming. 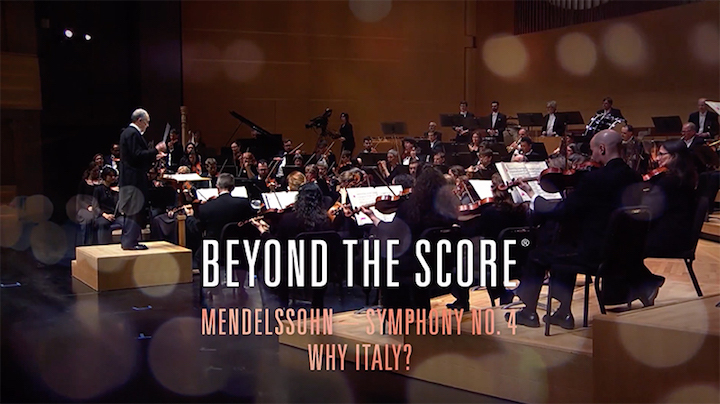 Classical music – like everything else in China – has undergone momentous changes over the past few decades. 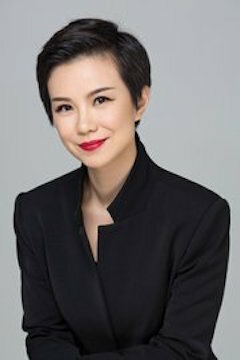 The importance of Western classical music in contemporary China is not seen only through the construction of new conservatories and opera houses; or through the many outstanding instrumentalists, especially pianists such as Lang Lang, Yundi Li, Haochen Zhang and Sa Chen, who have won prizes in Western competitions and become major performers. Chinese composers have also left their mark, as the Juilliard School in New York City will prove over six days, starting today, during this year’s “Focus” festival. 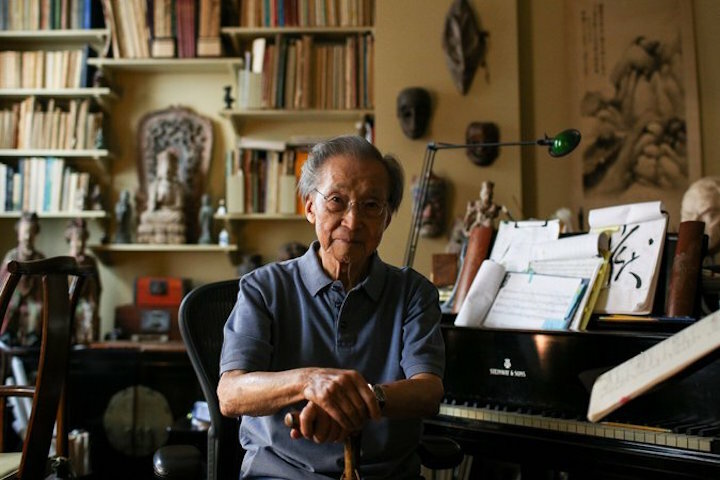 One such older composer is Chou Wen Chung (below, in a photo by Andrew Reneissen for The New York Times). A much younger composer is Chen Lin (below in a photo by Dawes Li). 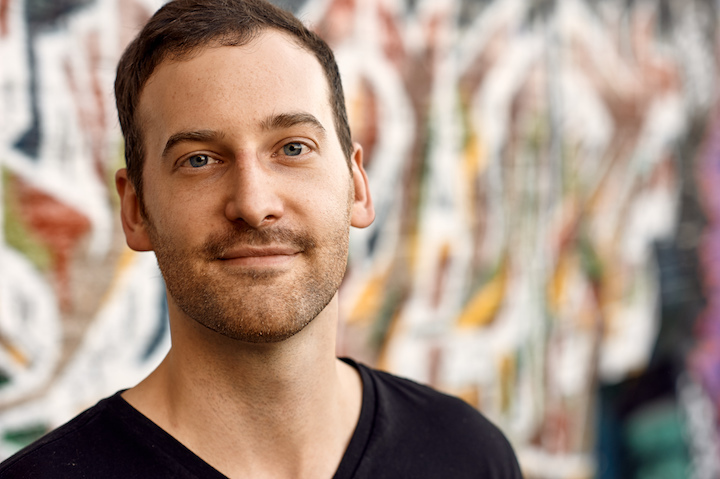 You will find some but not a lot of their music on YouTube – yet. But The Ear bets that many of the 33 Juilliard performances will soon find their way to social media. Anyway, here is a link to the comprehensive preview in The New York Times, which also features some sound and video samples. 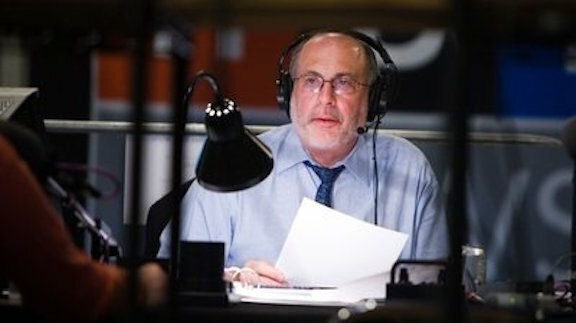 If you are a fan of “All Things Considered” on National Public Radio – and The Ear certainly is – you probably already know not to listen for veteran host Robert Siegel (below) on this afternoon’s broadcast. Or any other ATC broadcast in the future. That is because last Friday afternoon Siegel had his last sign-off. 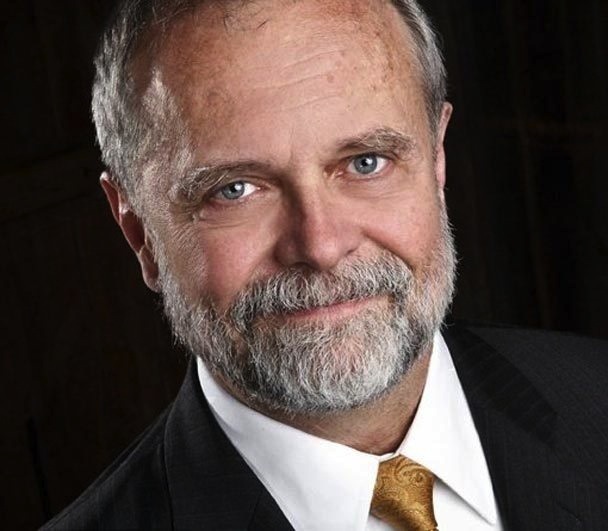 He retired after spending 41 years with NPR – the first 10 as a reporter, including as a London correspondent, and the last 31 as a host of the prize-winning afternoon news and features magazine “All Things Considered,” which, by the way, was created by Jack Mitchell, who later came to teach Mass Communications at the UW-Madison. There will be much to miss about Siegel. His qualities included a calming voice, a ready laugh, fairness and objectivity, a convivial studio presence and sharp but respectful interviewing skills. 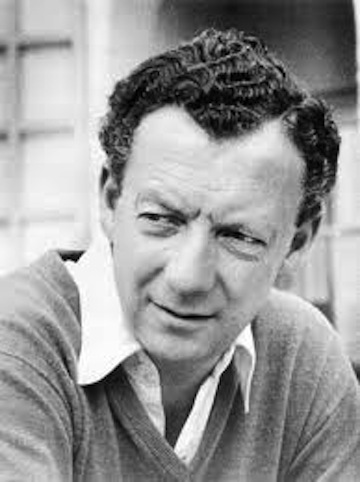 One of the things that The Ear hopes will survive Siegel’s departure is the much-needed public attention he brought to classical music, which he loved and which the other media today so often ignore. 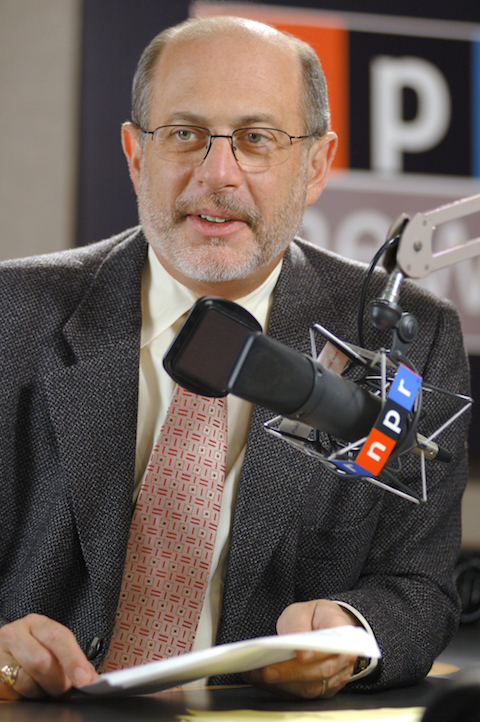 The mark his retirement, NPR classical music blogger Tom Huizenga compiled a list of 10 important interviews that Siegel conducted over the years. Then he put links to those interviews on an NPR blog. Huizenga also got Siegel to open up about the formative influences that sparked his love for classical music. They included his young love for the Piano Concerto No. 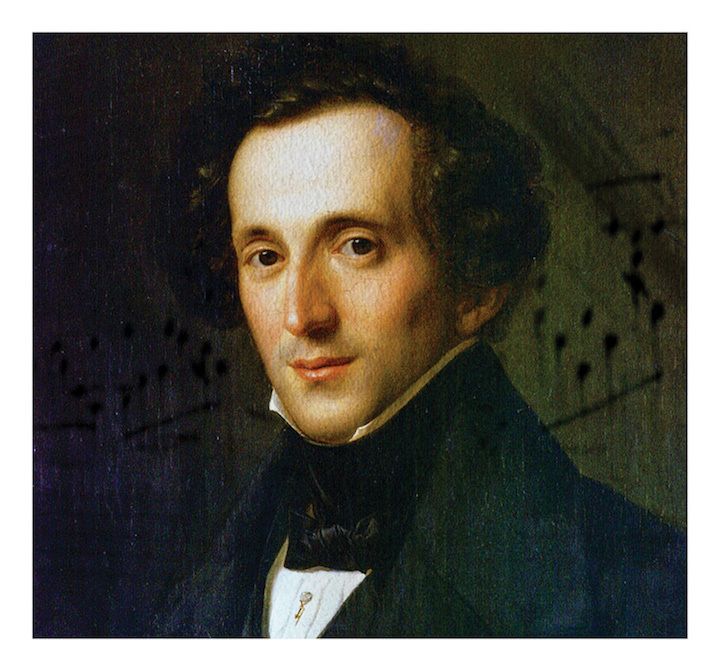 5 in E-flat Major, Op. 73, by Ludwig van Beethoven — the so-called “Emperor” Concerto, which you can hear played by Alfred Brendel in the YouTube video at the bottom. 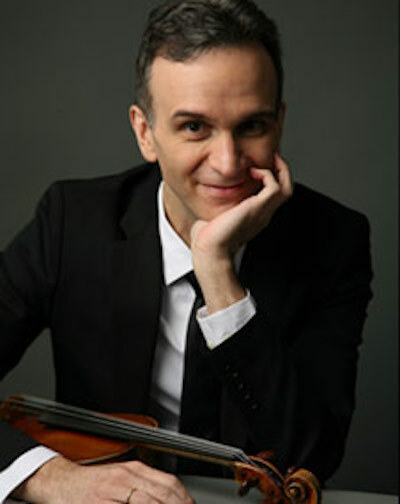 Siegel went on to cover big stars like superstar soprano Renee Fleming; medium stars like violinist Gil Shaham (below), who performs with the Madison Symphony Orchestra this month; and smaller and new stars like the iconoclast harpsichord virtuoso Mahan Esfahani. He also covered a U.S. Army rifleman who performed a violin recital for Churchill and Truman, and the role that music by Beethoven played in Communist China. And there are many, many more, for which classical music and we listeners owe a debt to Siegel.